It’s a true honor to feature one of the most recent and significant influencers in my life today, the nutritionist Beverly Meyer from the website On Diet and Health. I first discovered Beverly from her incredible podcast where I was impressed by her extensive knowledge and friendly, open-minded discussion of various health topics. I highly recommend checking out some (or all!) 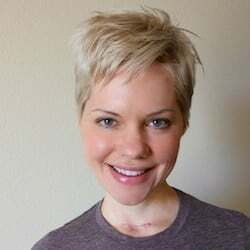 of Beverly’s podcasts to get an idea of her research-backed, high-level approach that she communicates in a helpful, friendly way. In fact, if you’ve ever dealt with a scary health issue, then you can appreciate how nice it is to hear a practitioner who is both qualified and kind. 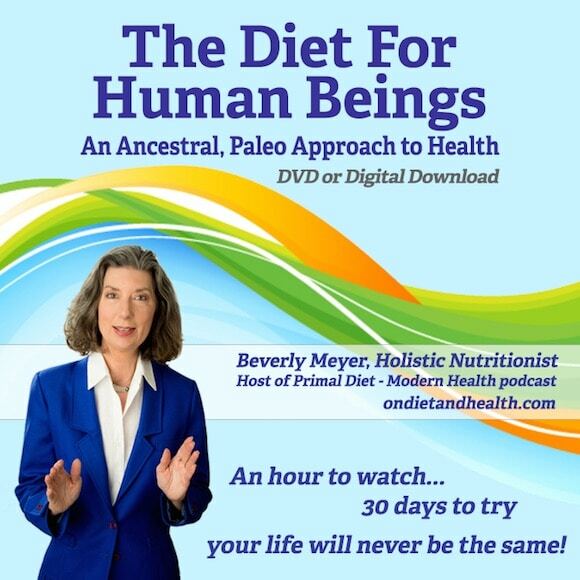 I had a chance to preview the DVD that Beverly was kind enough to send to me, and it’s a great introduction to a high-nutrient approach that includes all of the food groups that humans consumed during our evolution. How disruptions in our gut flora occur and can affect the production of neurotransmitters. As you may have guessed, Beverly promotes a “paleo” dietary style, one that includes real food. She emphasizes that her diet is not about losing weight, though, it’s about maximizing health and recovering from the damage that most of us have suffered from any length of time eating the Standard American Diet. And, like any good practitioner, Beverly always makes the consideration that it’s important to figure out what work for you, since we all have differing needs. For instance, since I have an active lifestyle with lots of exercise, I often include more nuts and seeds, fruit, non-glutinous grains, and even legumes in my diet than many paleo folks advocate. I did really enjoy the discussion in the DVD about the importance of preparing these foods properly, though, to ensure that the lectins and other anti-nutrients don’t negatively affect health. I have already taken her advice and am taking the time to soak my nuts and seeds overnight and rinsing well before consuming. I have personally benefited tremendously from Beverly’s expertise and her continued willingness to share her experience as a patient and a healer. Thank you, Beverly, for all of your hard work and diligence. You are an example of the type of optimistic, open-minded person that I like to feature in my “Positively Healthy” series. I absolutely LOVE his work; it is affirming rather than scolding, encouraging rather than challenging. Shows how do-able a healthy lifestyle can really be, and that it’s more than ‘just’ the right food, exercise, supplements, sleep. It’s about the right life as a whole, for individuals with individual needs, aspirations, strengths and weaknesses. It kept me from being scared off by the total change I saw I needed to make in order to fight for my best possible health. And it has been so very, very worth all the effort! The Canadian School of Natural Nutrition, which I’m in the middle of completing. I would have to say my best friend, who is a nutritionist. She is very knowledgeable and supportive and is helping me find the right balance for my body. 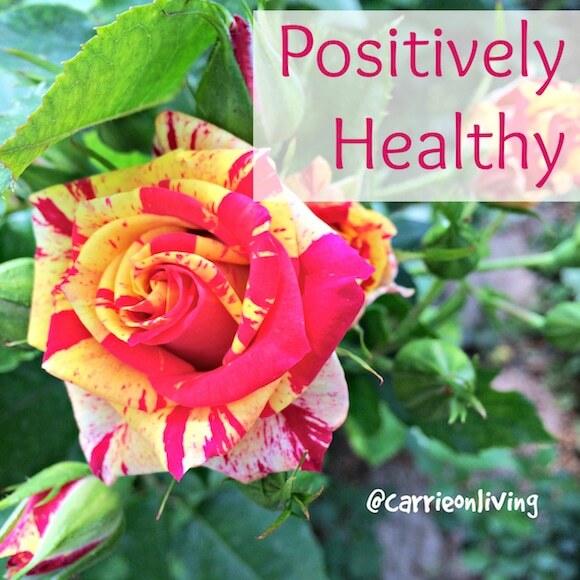 No one in particular – I have read a lot of material on health.